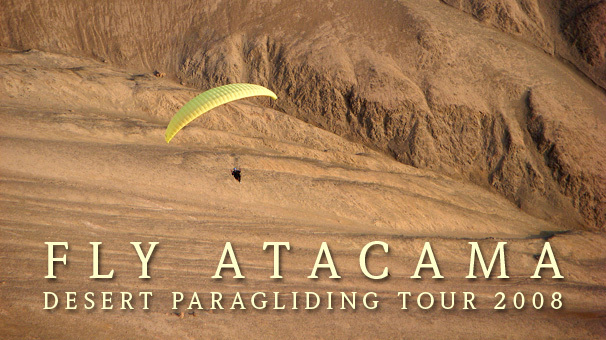 In November of 2008, Antofaya — along with our partner TwoCanFly in Salt Lake City, Utah — welcomed pilots to Iquique for two weeks of flying adventures. 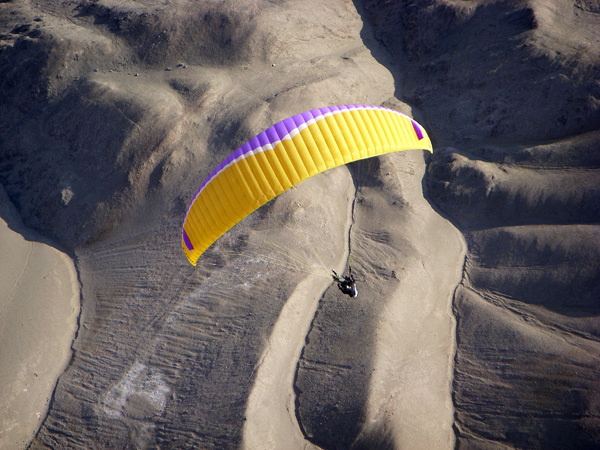 Participants spent their days soaring above jaw-dropping desert landscapes and bumping along tracks in the sand in our all-wheel drive vans to remote locations. They spent evenings sampling some of Iquique's best restaurants and resting up in one of Iquique's finest hotels in apartment suites with ocean and mountain views. 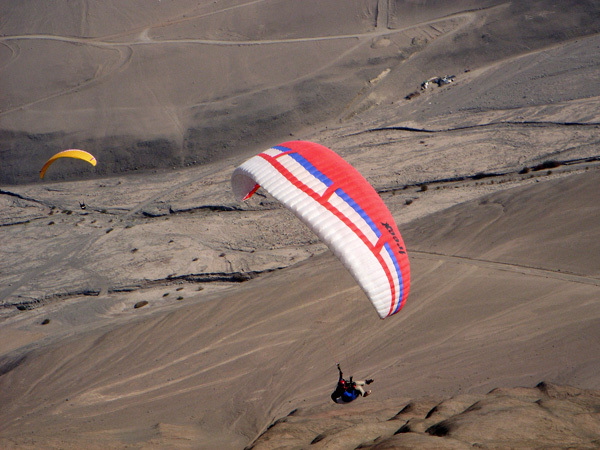 A typical "local" day consisted of a late morning flight from Alto Hospicio community for the traditional flight over the city and landing on either Playa Brava or Cavancha beaches followed by late afternoon kiting and flying in Palo Buque until sunset. 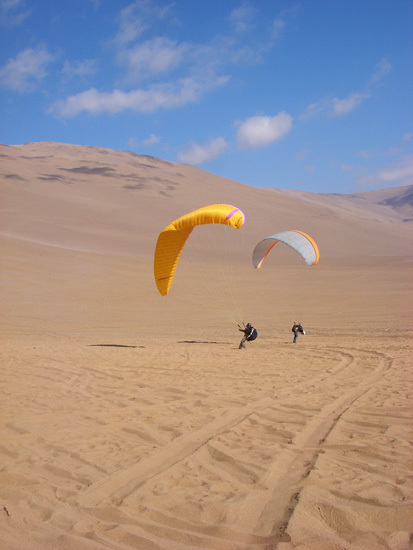 Other days were spent flying in remote locations such as the dunes of Chipana, south of Iquique on the coast, or the spectacular sites near Pisagua village on the Pacific coast north of Iquique. With the perfect weather every day, many of the pilots who stayed for both weeks of the tour had to take a day off after flying twice a day for a whole week. 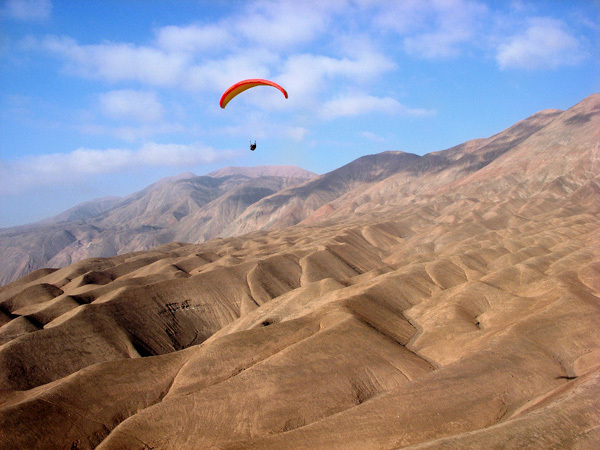 (Here in Iquique you can literally fly until you drop so it's important to take advantage of that comfy bed in the hotel.) At the end of the tour we enjoyed a sunset barbecue shared with local Chilean pilots, prepared in style by our drivers Daniel and Jacob. Everyone had a great time and many told us that they had the best flights of their lives. Several pilots more than doubled their cumulative airtime and had a chance to practice different kinds of flying, take-offs, and landings in varying conditions and terrain. 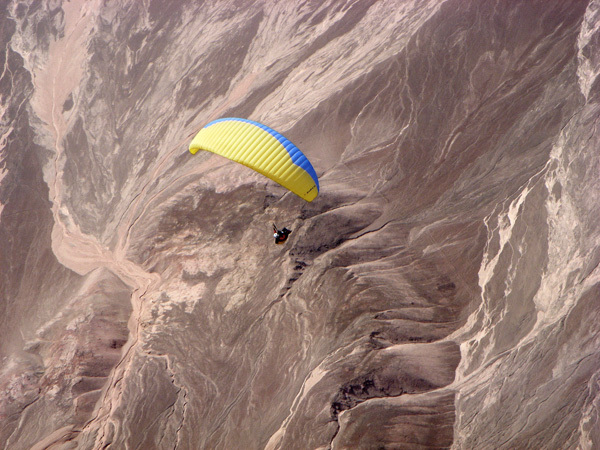 "Iquique is many paragliding dream trips rolled into one: ridge soaring, soft sand dune playgrounds, endless soft thermal mornings, rowdy afternoons if you want them, wide evening glass-offs that last well past sunset, remote coastal adventure flying, unlimited cross-country potential, beach landings, over-city flights, all you could ask from a flying mecca. Not to mention good, inexpensive food and wine, in a town with an easy-going ambiance. Most flights elsewhere, before I take off, I have to plan on what I will do if I can’t find the often elusive lift I need to stay airborne, pre-plan my sink-out plan. 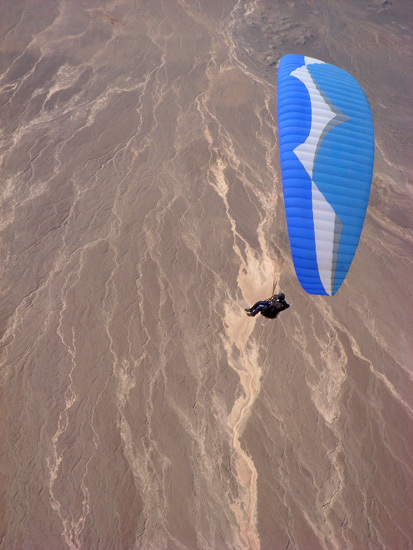 In Iquique, I had to instead pre-plan each flight with a concern as to how I was going to get back down to earth, the lift being so abundant and widespread that ending a flight could become a challenge. Another new aspect was scouting out a flying site, and instead of figuring out how to get to the top of the ridge to launch, you looked around at the base of the ridge to figure out the best spot to kite up a hundred feet or so to get plucked off the ridge and lifted right up to cloud base. 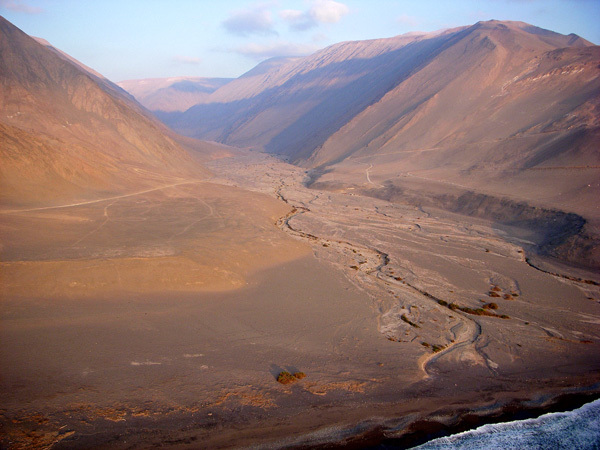 The Atacama redefines desert – here, it is so dry that it is completely void of all life, not even cactus can grow in most areas here. Once you get a few steps away from the ocean, there is absolutely nothing: no birds, no flies, no lizards, no snakes, no scorpions, no spiders, not even cactus, no vegetation at all, no animals or bugs of any kind whatsoever, just rocks and sand. Lots of delightfully forgiving sand. Even germs can’t live in the sterile sand – no life period. If you see something green growing here, rest assured, it was helped along with imported water piped in from the distant Andes. Jarek and Ken provided a professionally run and well organized trip, yet allowed enough wiggle room to take advantage of weather shifts, as well opportunities to get out to some fairly remote sites. Jarek is always searching out new places to fly and explore in the surrounding area. In a place with such vast areas of relatively unspoiled terrain, it will be a very long time before he runs out of opportunities." 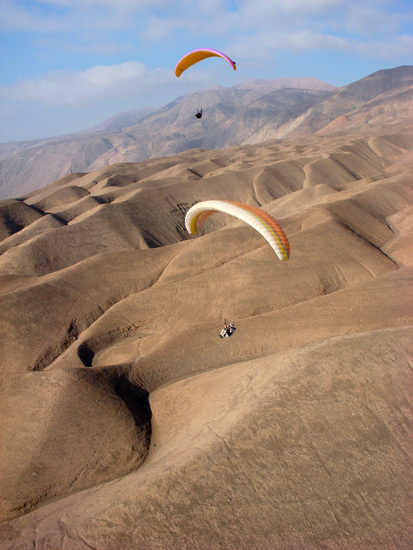 "Paragliding in Iquique is simply a wonderful experience. 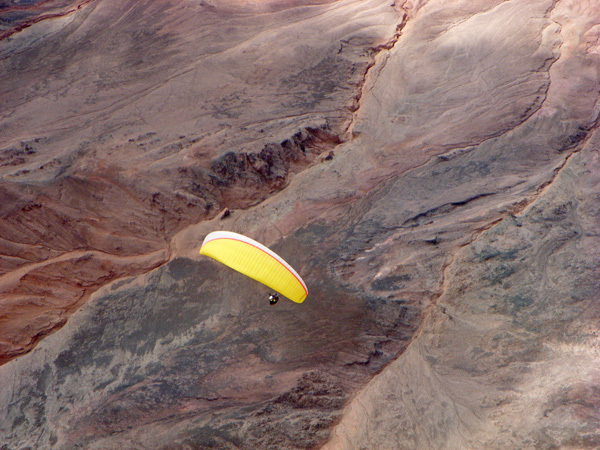 The Pacific wind meets the Atacama Desert and produces nice widespread lift that takes the paraglider distances beyond their dreams. Beginner to advanced pilots can't help but be awed by the magnificent flights. Be prepared for flights to cloudbase and crosscountry. 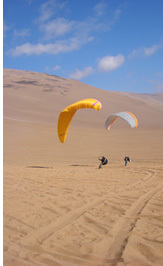 Relatively undiscovered, Iquique and surrounding areas are magical to fly, therefore I must return." "It was awesome Jarek!!!! 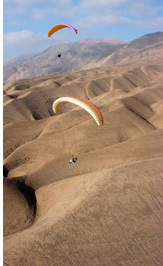 You are an awesome paragliding planner and coordinator! 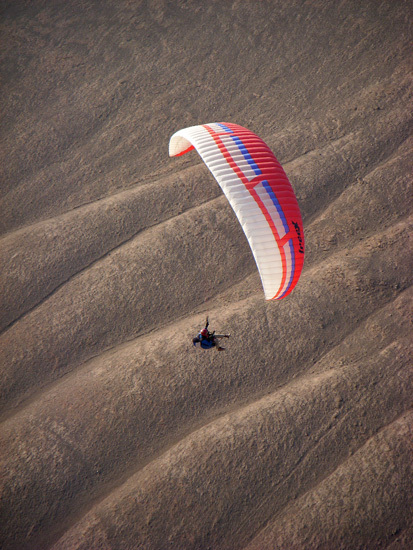 I thoroughly enjoyed my self there and all the great paragliding I did. It was the highlight of my year. If I have enough money saved up I want to do it again. But only if you, Jarek, are the coordinator." - The introductory package of city maps, flying sites and local information, and the voltage converter. - The help of the local pilots Daniel and Jacob for flying tips and retrievals. 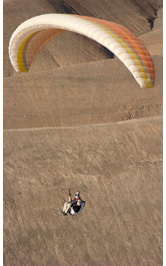 - The flying at new sites Junin and Tiliviche. - The chance to go XC at Chipana. - The desert cookout on the last night. Thanks Ken and Jarek for the great week." 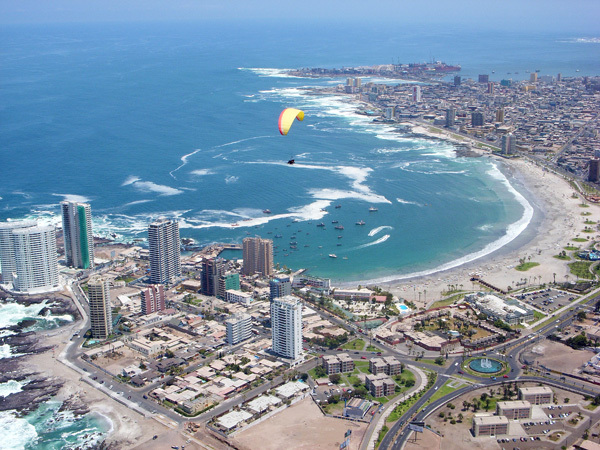 "I had a wonderful time in Iquique. 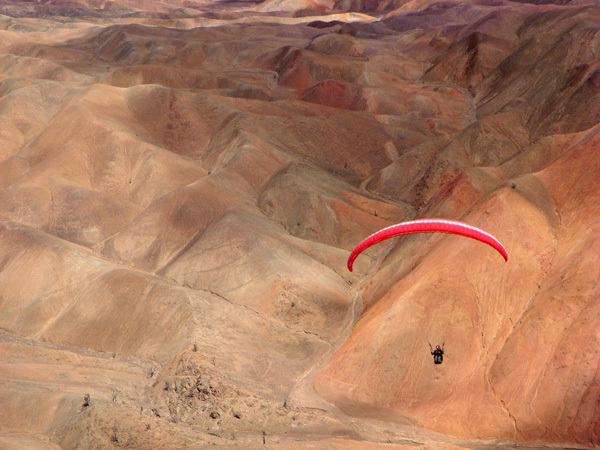 It was some of the best paragliding I have ever had. The lift was smooth and consistent, with landing zones everywhere. 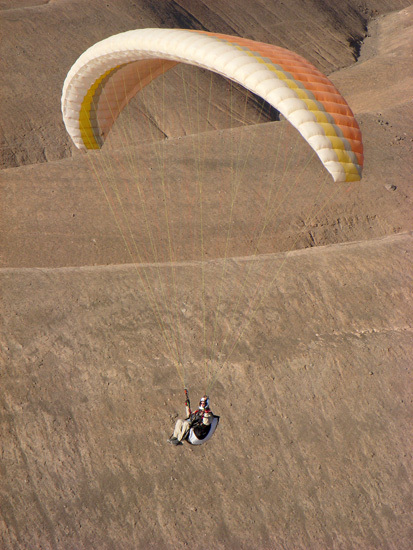 Cloudbase was within reach on almost every flight. Jarek was an invaluable resource, with his detailed knowledge of local conditions and his calm demeanor. 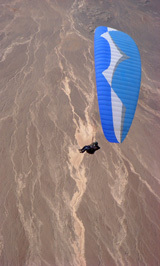 I would love to come back and fly the Atacama desert again!" 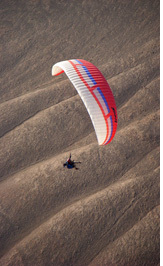 "A great place to go for airtime and a variety of sites. In 17 days I got over 100 hrs. of airtime without even trying! Wow!" 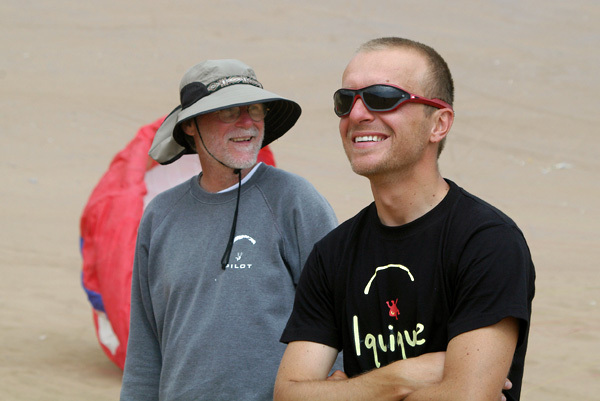 We had a great time with everyone who came to Iquique in 2008: Chuck, Warren, Michael, Dale, Susan, Scott, Magdalena, Ned, Steve, and the Bruces. Thank you for coming and for your enthusiasm. You are all invited to come again in 2009 or any time.